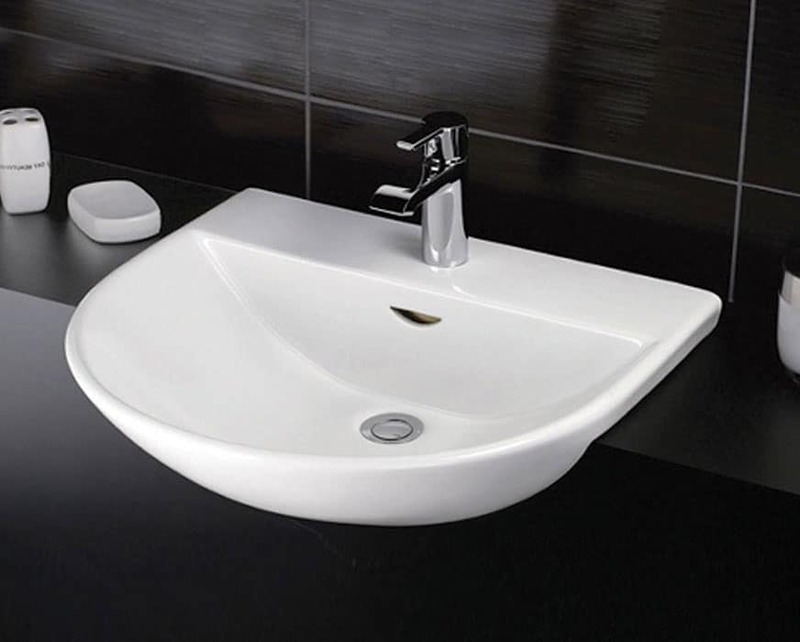 White Bathroom Co has been selling high quality basins in Sydney for over 17 years. We offer the latest trends and style preferences to our clients. 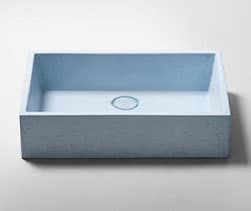 We are constantly updating our product lines to ensure a range of basins to suit any style, shape or even colour for your bathroom. 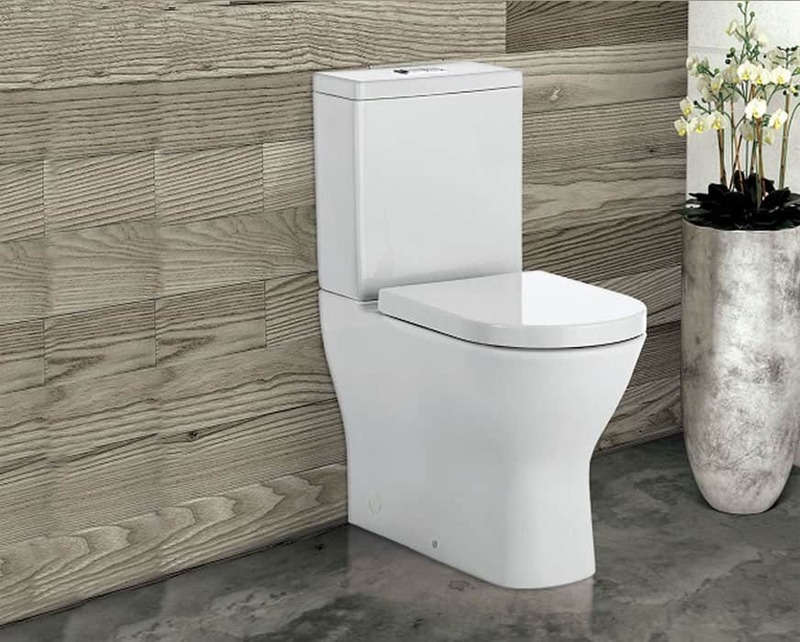 Made from the best materials and available in a wide range of modern and stylish designs our bathroom basins help Sydney residents improve and update their living environment for a cost-effective price. 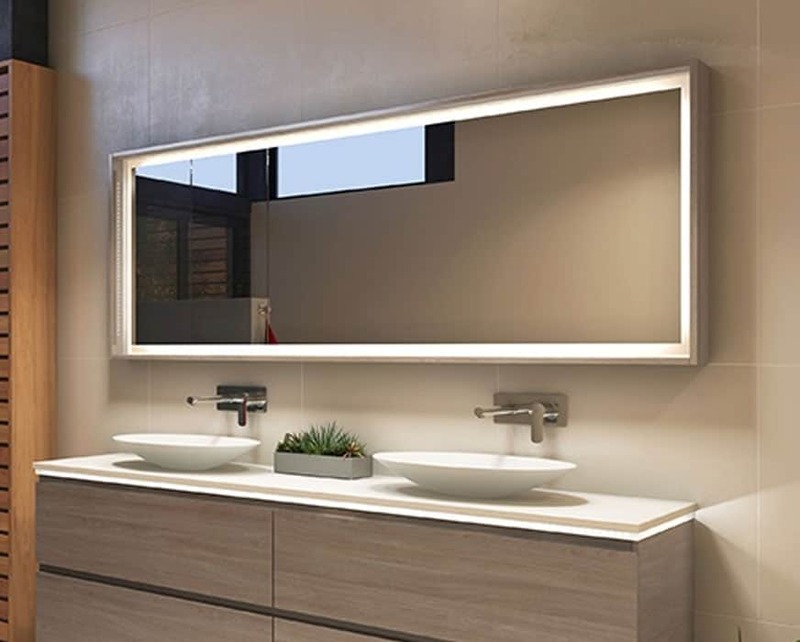 To make sure you find the basin you are looking for we offer quality brands such as Cotto, Fienza, Studio Bagno, Timberline and Turner Hastings. 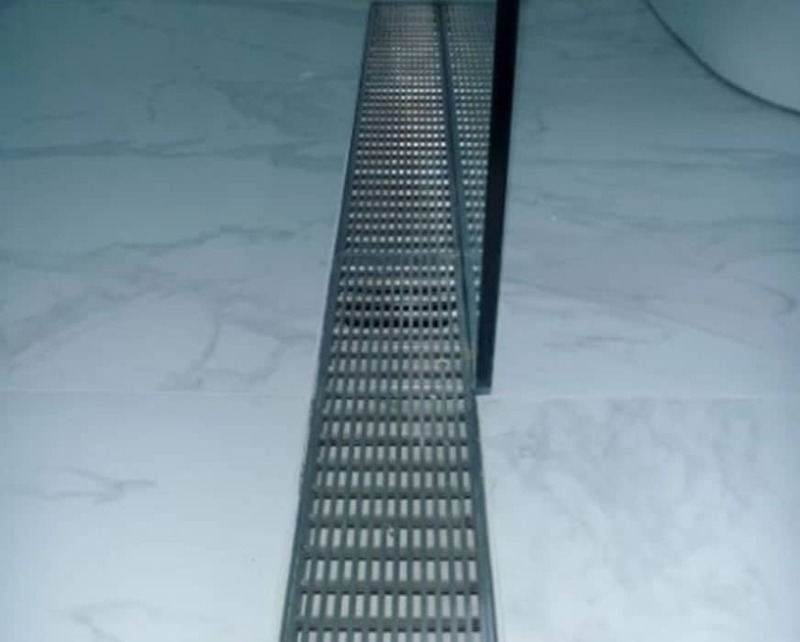 These imported basins come from places such as Italy, Spain, Portugal, Thailand and Turkey. 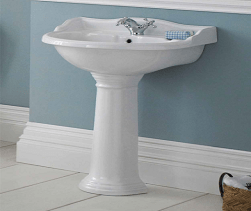 Our staff can help you decide which is the best style basin to suit your bathroom. 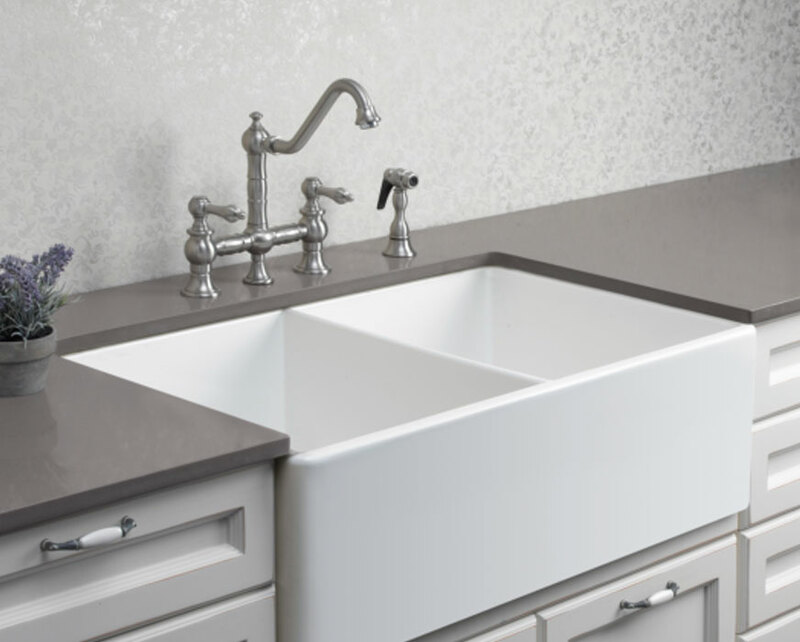 Some basins come with a choice of 1 or 3 tap holes if you want the tapware to come out of your basin, you may choose to have a basin mixer or a tap set with hot and cold tap and spout. 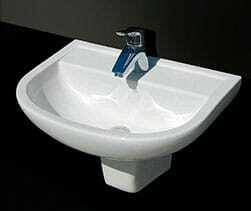 Or you may decide to have a mixer tap come out of the bench top or out from the wall. You will find the best style to suit you. 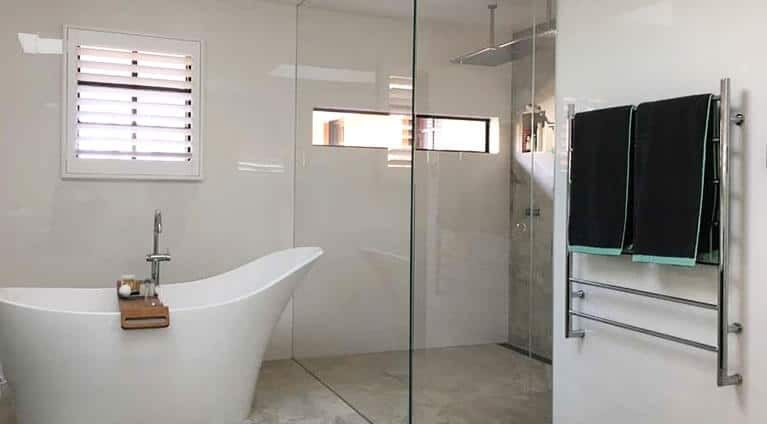 Not just limited to traditional white basins White Bathrooms proudly supplies luxurious black basins for Sydney residents to complement their bathrooms with. 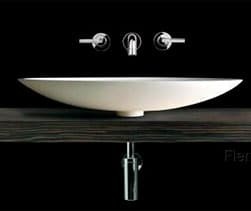 Above counter basins or bowls are designed to sit on top of a bench top. 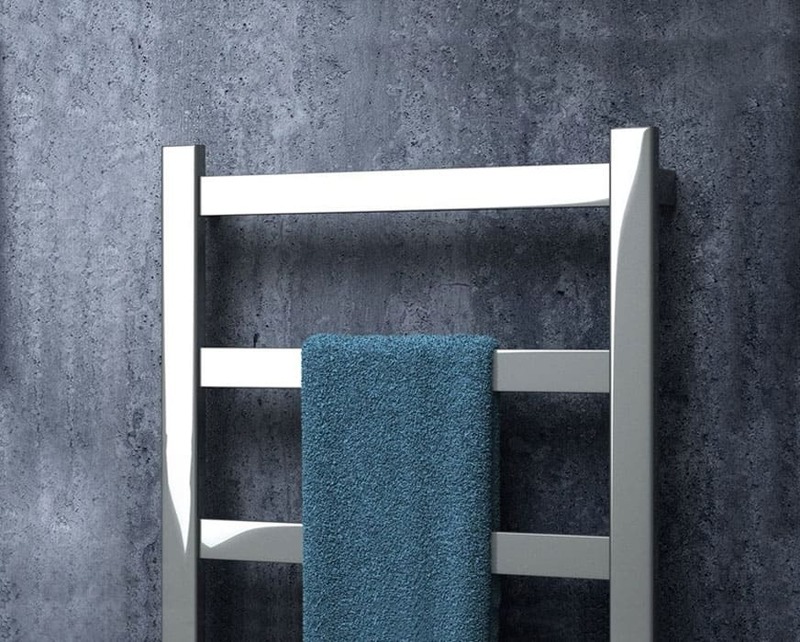 There is a vast range of sizes and shapes to suit your bathroom. They can be shallow or deep, long or short! They offer a spectacular centrepiece for your bathroom. 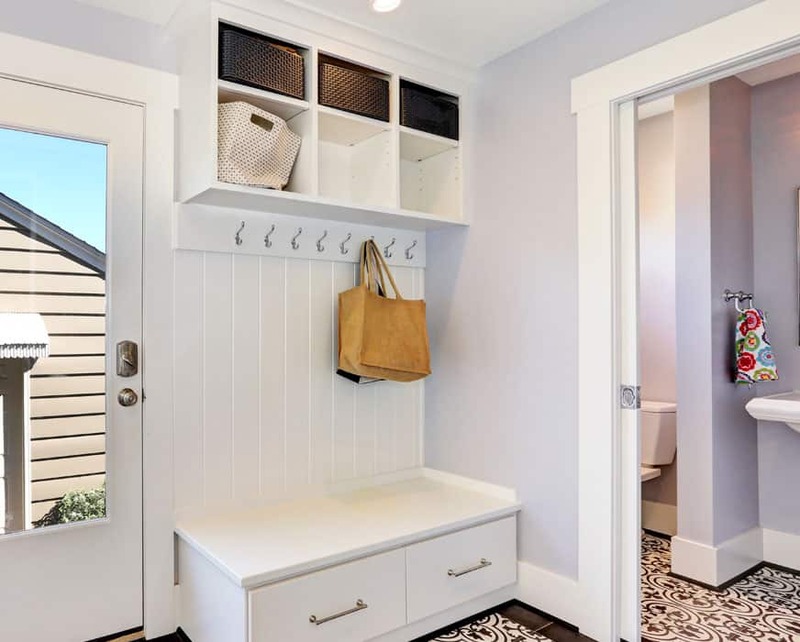 Inset or drop in basins have a rim that sits on the bench top and the bowl is partly recessed down into the bench of cabinet. Styles can be from traditional oval shape to very modern square shapes. 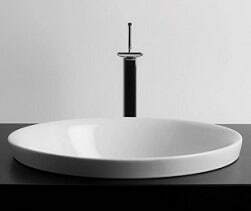 These are ideal if you don’t want the basin to come up too high above the bench. 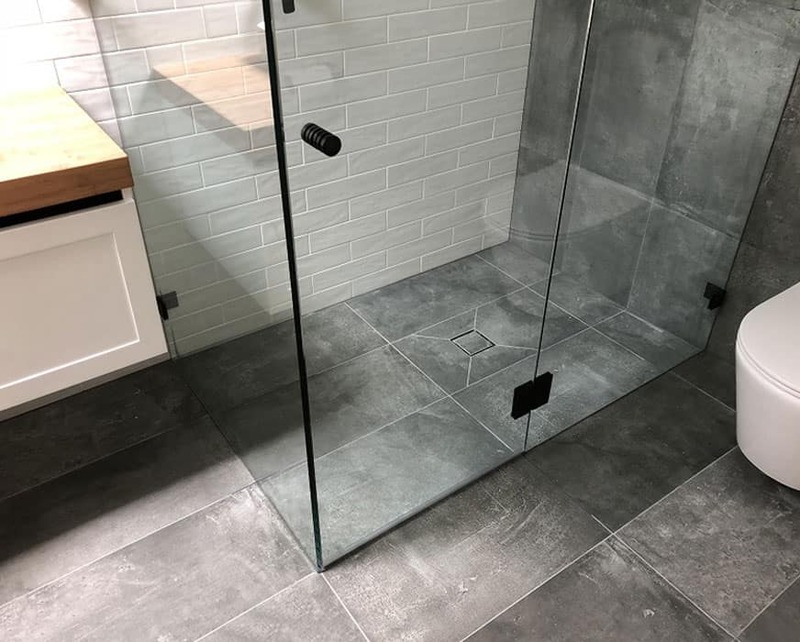 Undermount bowls literally mount underneath your stone top to give you an easy clean top with nothing intruding on the surface. These can be the traditional oval or round bowl or for a more contemporary look you may choose a square or rectangular shape. 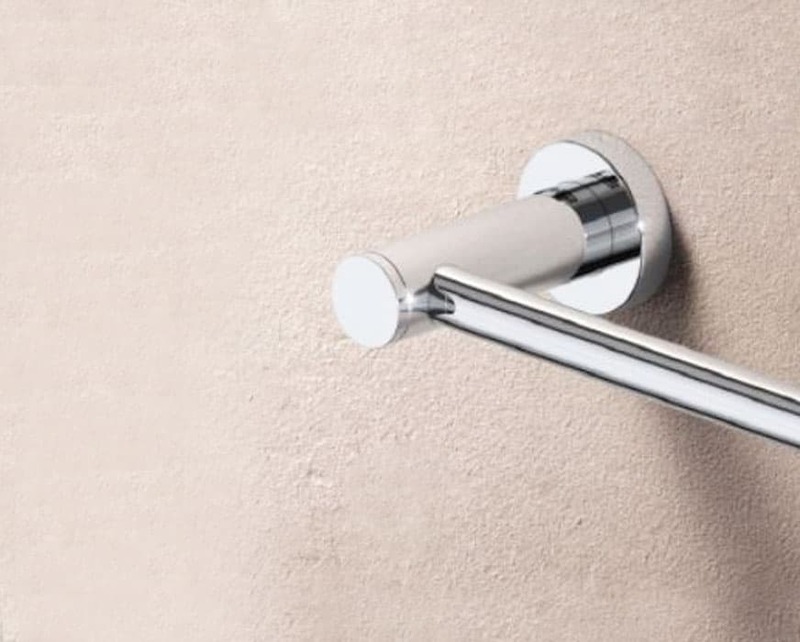 Wall basins are designed to hang of the wall to give you a more minimalist look to your bathroom. There are many shapes, styles and sizes to choose from. 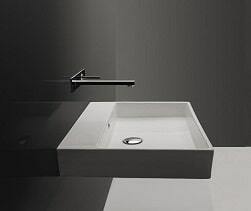 Some basins are small and narrow for bathrooms with a tight fit or long troughs for that very sleek modern look. They are attached to the wall using bolts or brackets. Some offer optional towel rails to fit the basin. 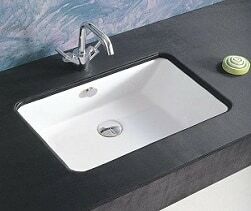 Semi recessed basins are designed to partly sit on the bench top and protrude out. 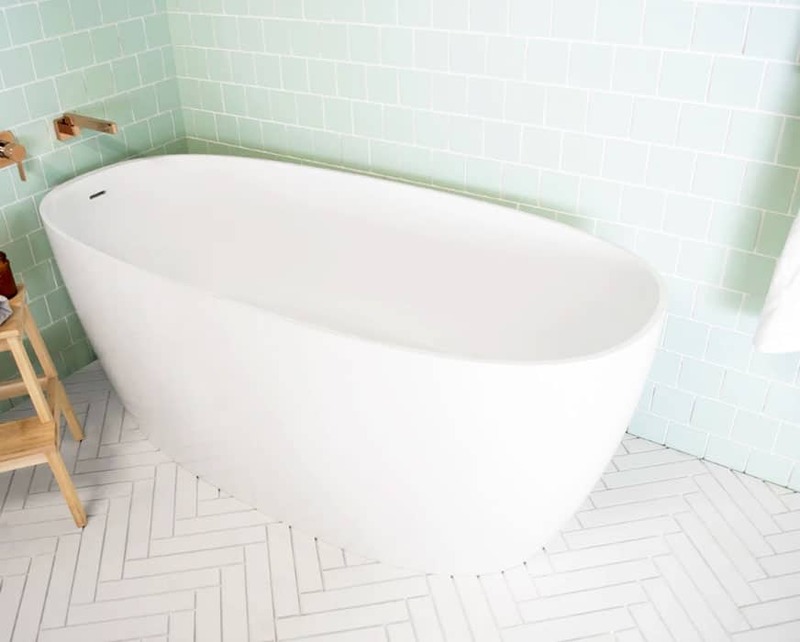 This is particularly good in bathrooms where space is more limited but you still want a full size bowl. They are designed to fit on to stone, composite or timber tops. There is a range of both traditional or contemporary styles to choose from. 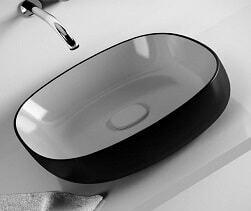 Most basins are made of vitreous china but you may also choose from glass bowls or cast stone basins. 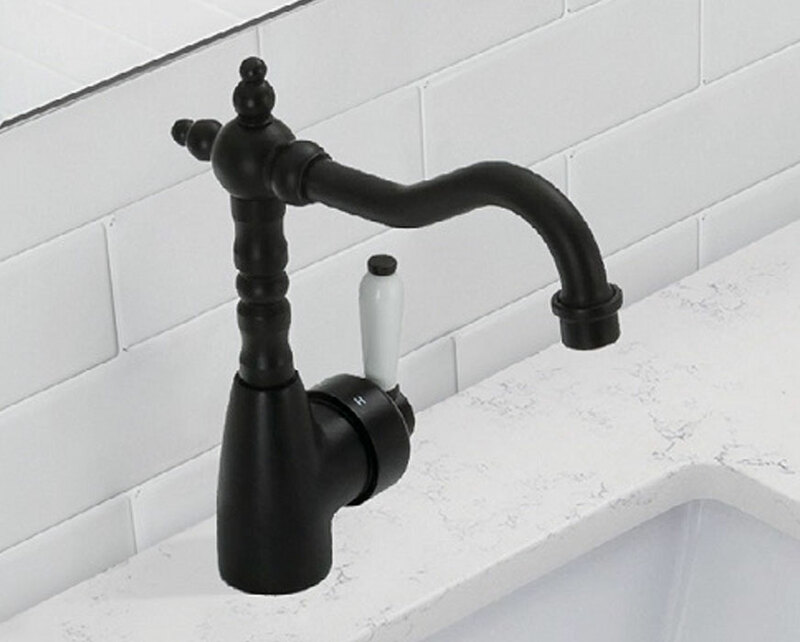 Some of our suppliers offer different finishes for their basins such as gloss white, matt white, gloss black or matt black. 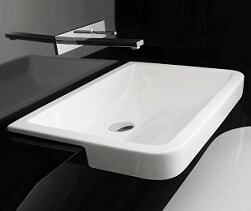 All the basins supplied by White Bathroom Co are top quality and are backed by guaranties up to 10 years. 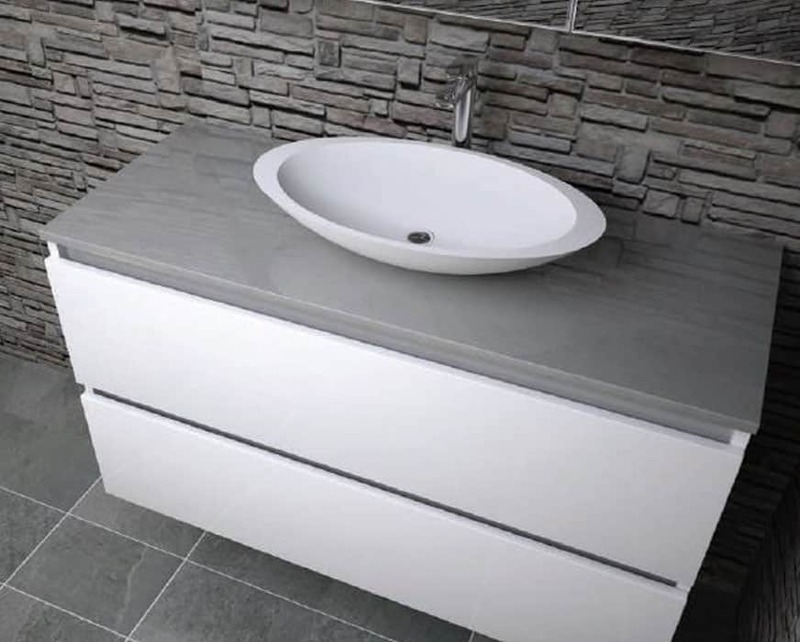 With over 17 years experience supplying quality bathroom products we can assist you in choosing a basin to enhance your bathroom and give you years of confidence in your choice. or email sales@whitebathroom.com.au to help you with your decision. Thanks to our premium and affordable bathroom basins Sydney homeowners can transform their bathroom with confidence.